It is all about teamwork. The dentists and staff at Bamboo Dental are well-trained and highly skilled as well as friendly, personable professionals. We strive to make patients feel welcome. The entire Bamboo Dental team will provide you with a calm and relaxing environment where you can get the treatment you need in a place you feel comfortable. Our strong patient relationships and the extra time that we spend with patients help put people at ease, and that helps us offer truly compassionate care. Dr. Flor Malave has been practicing dentistry since 1999. She got her first dental degree in Venezuela, her native country. For the first four years of her career she had the opportunity to work as a general dentist, establishing her own dental practice. She also had the opportunity to work at the Venezuelan Military Navy. Looking for new challenges and opportunities in life, Dr. Malave immigrated to Canada with her family in 2003. In 2009, Dr. Flor Malave graduated from the Schulich School of Medicine and Dentistry at the University of Western Ontario. 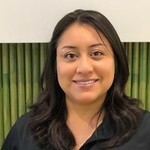 To ensure her patients receive the best possible care, Dr. Flor Malave participates in yearly continuous education courses so as to keep abreast of the latest techniques. Dr. Malave is fully fluent in English and Spanish. Our spanish dentist Dr. Flor Malave practices all aspects of general dentistry. She is passionate about making sure that all of her patients have the best dental care and an amazing experience. When not practicing dentistry, Dr. Malave loves spending quality time with her husband and three daughters. Alicia is one of our Registered Dental Hygienists. She comes with a wealth of 9 years of experience as a Dental Office Administrator and Treatment Coordinator. Alicia received her Dental Hygiene license from the CDHO in 2015. She takes great pride in giving each patient individualized care during their appointments. She is also active on continuing education and training in the most current hygiene treatments and procedures. Alicia favorite part of her job is " getting to know her patients and helping them achive their best oral health"